Catalog available: 12 color images (one of each artist’s work), introduction and artists’ statements. Size 8 x 8 inches, 20 pages including cover. Still Happenings is a contemporary still life exhibit by living artists. Each of the artists brings their own unique viewpoint to their work, sharing how they observe the world, and communicating their perspective through the objects they choose, their color palette, physical use of paint, approach to composition and their commitment to the process of observing. For each of these artists, still life painting is a way to observe the world and record the experience to share with others. Still life painting is traditionally a part of every artist’s training, but these artists have committed to pursuing this often undervalued genre, giving it the significance it deserves by slowing down and investing time with the subject. It is a different, even radical decision to choose to observe the world of objects and patiently translate that experience through placing paint on canvas, to be “out of the trend” in an art world focused on the digital age. These artists, through observing found or chosen objects, reproduce a “slice of life,” often symbolic, playing out on the canvas happenings from the artist’s and our experience. These visual experiences might suggest objects left behind by a human presence, create relationships between elements to mimic human connections, give meaning to an object from the artist’s past, or create beauty by capturing the way light bathes each element in the composition. 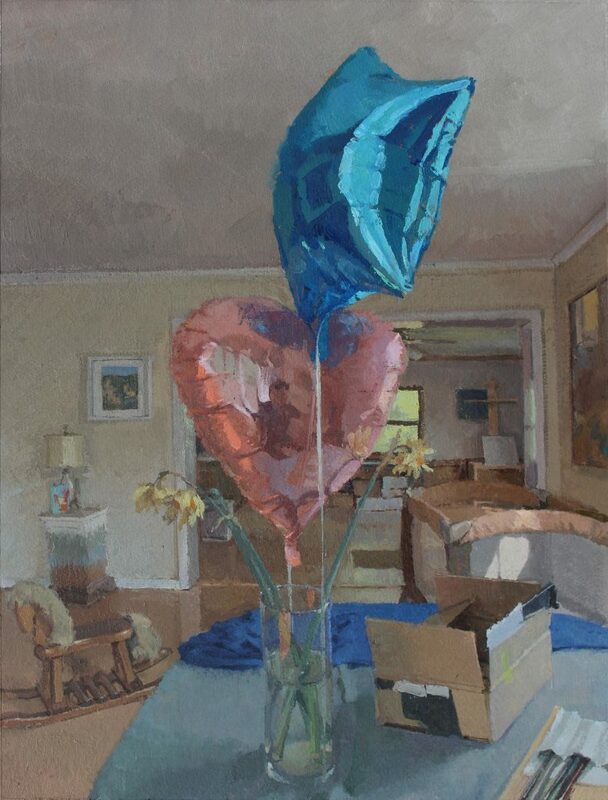 These observational experiences bring “Still Happenings” to life, inviting the viewer to revisit the “still life,” to slow down, and to experience the world each painting has to offer.